While fecklessly stumbling around in foreign policy by preparing to fire cruise missiles and kill some Syrians in that country’s civil war, the Obama administration is also again demonstrating its general cluelessness on the subject of gun control. 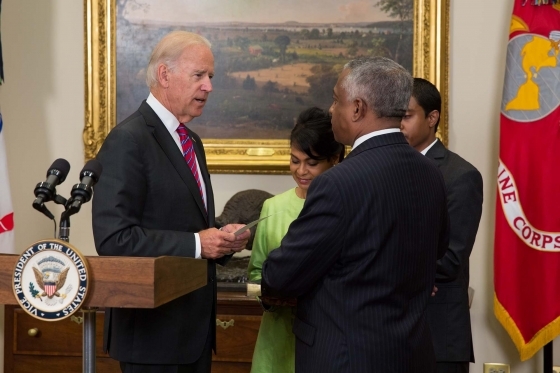 Vice President Joe Biden announced two new executive actions as he swore in the new director of the Bureau of Alcohol, Tobacco and Firearms on Aug. 29. First, ATF will propose a rule change to ban the re-importation of surplus military firearms from the nations where the U.S. originally shipped them. Second, the government will require fingerprinting and criminal background checks of anyone involved with a trust or corporation named as the recipient of a machine gun or short-barreled shotgun. Until now, no background check has been required if corporations or trusts are listed as the buyers of machine guns, and the ATF says it got 39,000 applications for transfers of restricted arms to corporations last year alone.